Tripp Lite announced it has joined the American Red Cross’s Ready 365 Giving Program as a Platinum Plus-level donor. It is an honor to be affiliated with an organization as important to society as the American Red Cross. Tripp Lite, a world-leading manufacturer of power protection and connectivity solutions, announced it has joined the American Red Cross’s Ready 365 Giving Program as a Platinum Plus-level donor. Through this program, the Red Cross provides lifesaving services to people who face disaster. Each day, with the help of their corporate sponsors, the organization. . .
As a Platinum Plus donor, Tripp Lite stands with the Red Cross as it prevents and relieves suffering nationwide. 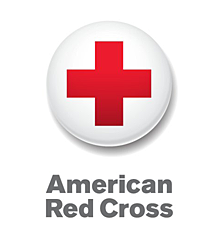 To donate to the American Red Cross, visit http://www.redcross.org/donate.